Wild about Beauty is brought to you by International make-up artist Kim Jacob and Louise Redknapp. This collection has naturally active ingredients and is skin nourishing. Has such naturally active ingredients such as Winter Cherry Extract, German Chamomile and Organic Rose Water, these help enrich & care for your skin whilst enhancing your natural beauty. 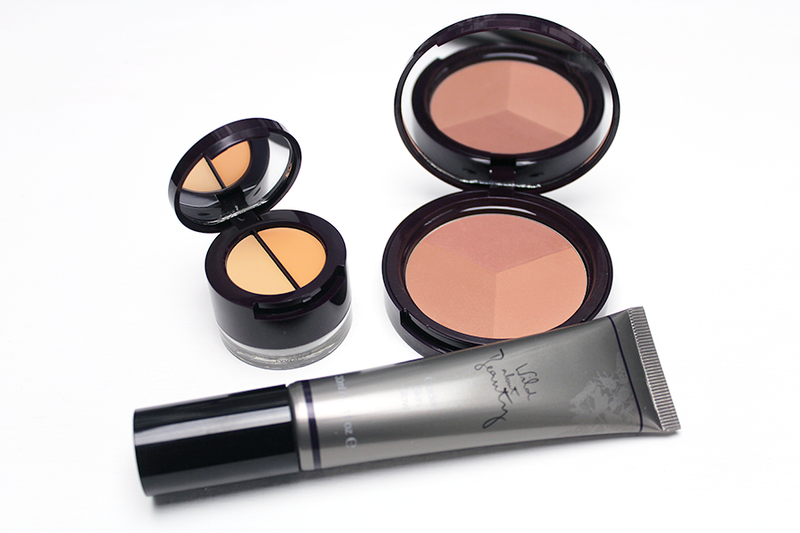 Bronzing duo, that you can apply to your whole face or to just key areas where the sun hits you naturally. You can build upon this beneficial bronzer that contains Vitamins A,C,E and Aloe Vera, so while your safely naturally building up a sun kissed finished your getting benefits from the ingredients. It's not shimmery nor does it looks too much on. I quite like how natural it does look on my skin. Really starting to fall in love with bronzers. Comes in 4 shades fair, medium and and dark, I have medium and it's perfect. 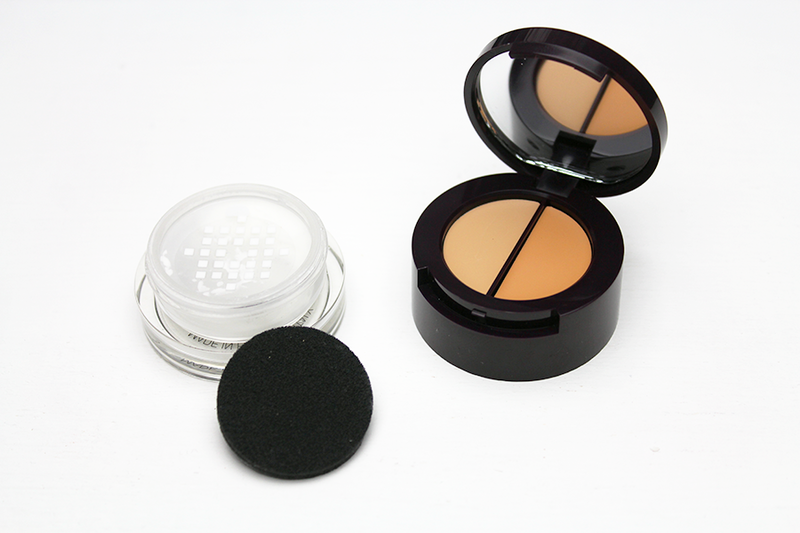 What I love even more with this is this duo kit also has a setting powder underneath with it's little sponge. Perfect for my make-up bag! 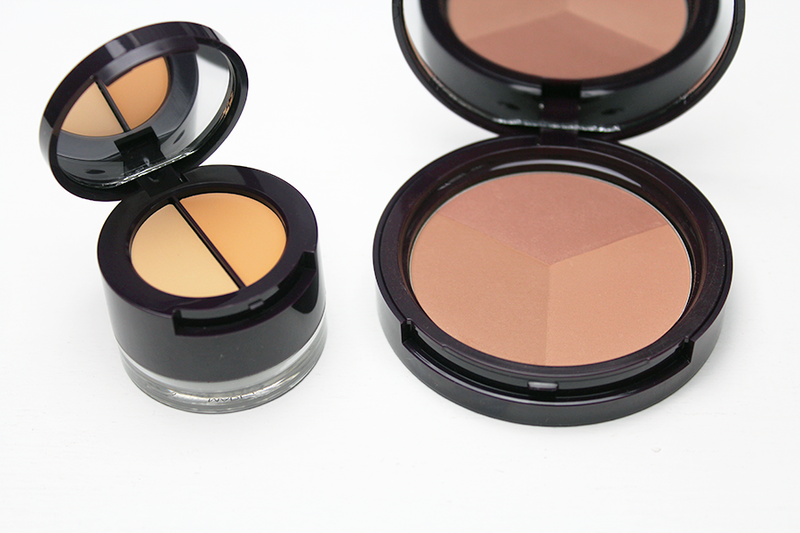 This has two tones, so you can mix and create your perfect shade. The formula is creamy and just glides, it's enriched with Sea Whip Marine Extract - which is known for it's skin calming and anti-inflammatory action. Vitamin C and E to help nourish the concealed area. The powder is fine and doesn't sit in lines but gives a nice soft effect. Bronzing tinted gel that I've found good use for. My new foundation is slightly light especially in photography so I use this as a base or even mix them together to give my foundation more colour depth to suit me. Alone it is lightweight, not greasy at all. Perfect for all year round. It only comes in one shade so it may not be suitable for everyone. Key Ingredients : Vitamin E, Alpha-Bisabolol - essential oil extract from German Chamomile. 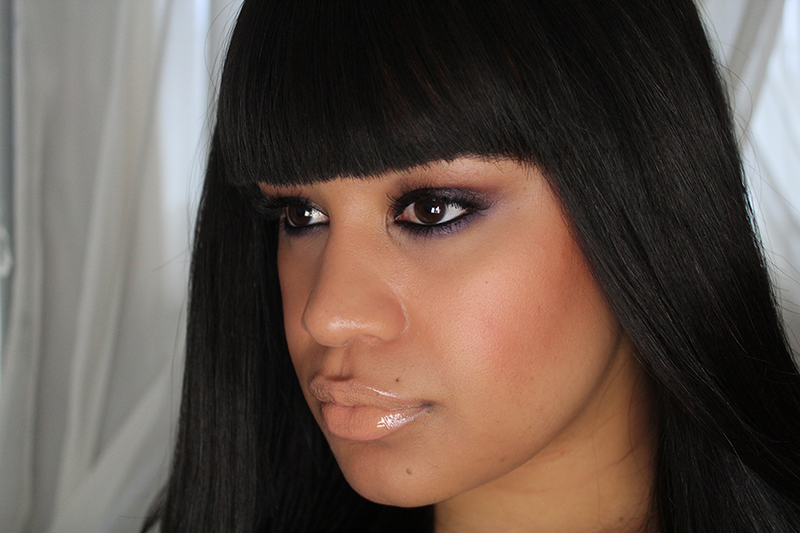 In the image above I used the products I have, within this look besides the bronzer. This range is ideal for those who don't like to see potentially dangerous chemicals in their products. Natural, pigmented, lightweight and helpful for skin conditions, instead of clogging up the skin and making our skin more tired, dried out and prone to blemishes. This range seems to of been designed to help the skin. Have you seen or tried Wild about Beauty? Great post! I like the concept of this brand, its good that more makeup companies are paraben and mineral oil free. I love the idea of the concealer and the powder, maybe once my MAC one runs out I will give it a try if its a good colour match for me. They have done it in a professional way by using branded cosmetics. It has natural look and I like it. I have never heard about this product. Thanks for sharing. I think it is more effective because it contains naturally active ingredients. I love the concept of this brand. I'm always worried about what sorts of chemicals I'm putting onto my skin so this sounds like my cup of tea :) I especiallylike the look of the concealer kit - doyou find it any good on dark circles? OMG!!! Love the colors for it looks light and natural. I usually prefer these kinds of shades for my everyday wear so I'll definitely check these products out.